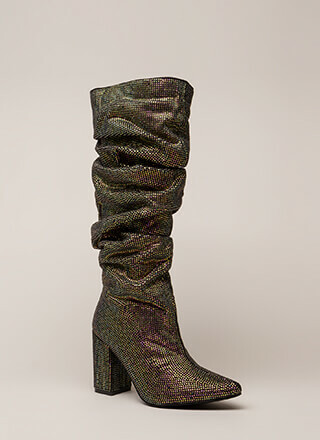 You won't have any trouble deciding on these super trendy boots! 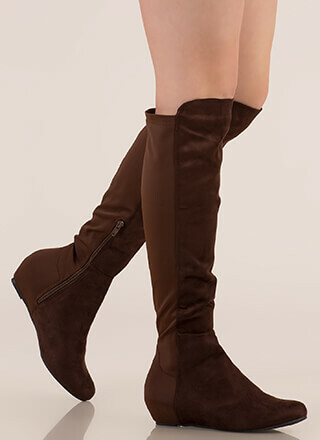 Vegan suede boots feature an over-the-knee silhouette, a rounded toe box, and a rear slit on the top of the shaft. A partial side zipper leads to a chunky block heel and a ridged sole. pleasantly surprise, this is my second purchase with "gojane", I am definitely a satisfied customer. product is as described , and more.